The editor in me always struggles with posing a question in a headline. There’s nothing inherently wrong with doing so, but it’s typically an unsatisfying solution to finding the optimal a headline – a conclusion you might reach after long thought without any great alternative. Occasionally, though, it’s appropriate. And in this case, it best conveys the confusion that I have around the current state of the National Women’s Soccer League. 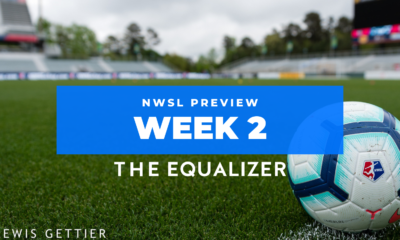 Saturday marks the beginning of the league’s seventh season (this is the obligatory reminder that the NWSL’s two predecessors only lasted three seasons, each). It’s a World Cup year and thus one of increased importance for the league, which – for better or worse – will bank on the idea that the swell of interest from the Women’s World Cup will trickle down to its teams and the eyeballs on the summer extravaganza will be inspired to become butts in seats on a muggy Saturday afternoon at Rutgers University or in Boyds, Maryland. The sustainability of any supposed increase in attention remains an unproven theory, one which will be tested again beginning this year. What strikes me about the start of this 2019 season, though, is the complete lack of buzz around the league. Let me repeat: THE SEASON KICKS OFF SATURDAY. How a casual fan should know that in this crowded landscape is anyone’s guess. The NWSL spent most of its offseason dormant. The traditional flurry of trades and coaching swaps wasn’t as dramatic this offseason, and even January’s college draft felt like a muted celebration as two of the first six selections in the draft ultimately declined to play in the league right away after being selected by Sky Blue FC. Quiet offseasons can happen in sports; the lack of any promotion by the league right now should not. Communication from the league has been awful – both internally and externally. The NWSL’s longtime communications director left the position three months ago and has not yet been replaced, turning even basic parts of writing stories into significant tasks. Per widespread sources throughout the league, even team personnel and prospective new partners have struggled to get basic answers and maintain communication with the league office in Chicago. Europe has made significant strides bringing on Visa and Nike as flagship partners for their women’s football rights. The U.S. women’s national team continues to garner attention, especially commercially. Luna Bar’s recent announcement, that the company will pay each of the 23 World Cup players the $31,250 difference to make their World Cup bonus equal to the men’s team’s, was celebrated as it should be. 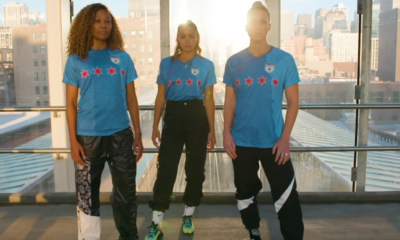 We’re also subtly reminded that the NWSL cannot find a major sponsor. We had mangoes in 2015. Beyond that and the wider A+E deal? The league has been packaged into some U.S. Soccer sponsorships. 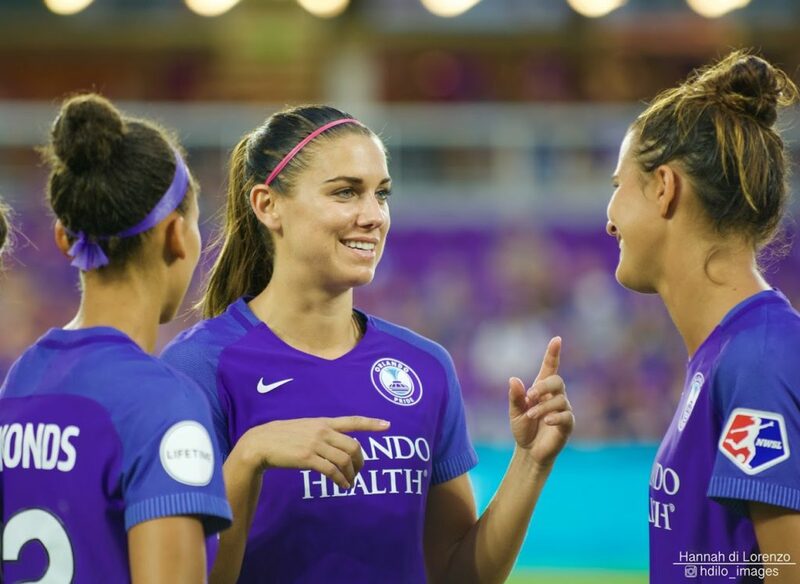 The biggest recent storyline in the NWSL has been the early departure of A+E Networks as a joint business partner in the NWSL Media venture. NWSL owners, and newly-promoted league president Amanda Duffy, talked up the change as a good thing, given how large of a percentage of revenue A+E kept. That has been followed this week by the departure of at least four staff members who were part of the operation in New York. Within this bubble of dedicated followers of the league, these semi-connected events have been the main talking point in the days before first kick. Outside of this bubble that we sometimes forget we are in, there is no hype. Look around at major national media outlets and try to find coverage of the league’s new season. Yahoo, the league’s new streaming partner and platform (you’re forgiven if you don’t know, since it was only casually confirmed and announced), has a preview of the league posted to help promote their own rights. After that? How would you know anything about the NWSL or its upcoming season if you didn’t already follow along? Even those dedicated have had trouble doing so. I can’t fault any national outlets. I, as someone covering this league daily, have had immense trouble performing routine tasks in the story-writing process. I’ve hit enough dead ends – even on stories that the league might objectively consider positive – that I’ve simply given up on trying to write some of them. The league didn’t bother to set up a conference call ahead of first kick – pretty much the baseline for at least trying to get stories out to the wider audience. The promise of a new TV deal, in the absence of Lifetime, has not arrived – and nobody expected it to by this point. If you want to watch opening day, go to Yahoo Sports or their app. If you didn’t already know that, you are unlikely to stumble upon it. So here we are, staring at opening day. We’ll hope that the dearth of national attention isn’t the case at the local level – that people will turn out this weekend in Maryland, North Carolina, Houston and Orlando. We’ll hope that those fans know that they should come now, before the World Cup players depart their clubs in a mere few weeks. We’ll hope that those fans know the players will be back in their backyards after the World Cup. It appears that, on a national level, we’ve reverted to a state of hoping. 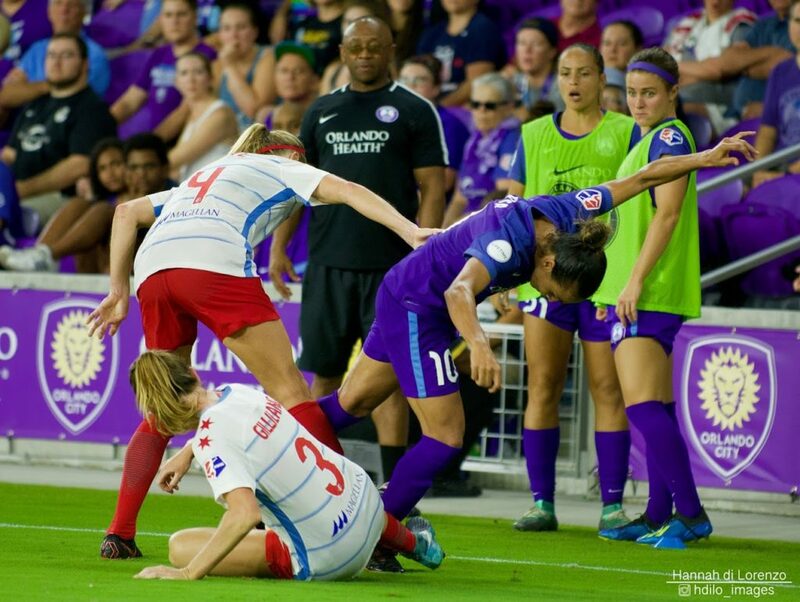 If the NWSL can’t bother to hype its own season, who is going to do it for them?